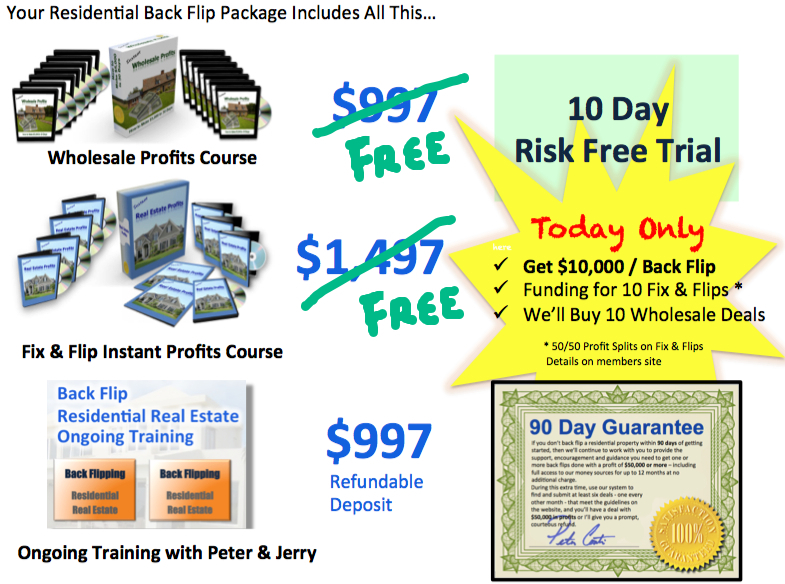 Your $997 deposit gives you one year of access to the Training, Coaching, and Funding. After one year, you decide whether or not you want to keep doing deals with us at no additional charge. On top of that your $997 deposit is refunded back to you when you do your first deal of any type with us. You have BOTH a 10 Day Risk Free Trial and our 90 Day – You Will Make Money Guarantee… so click “Add to Shopping Cart” so we can Welcome You Aboard!